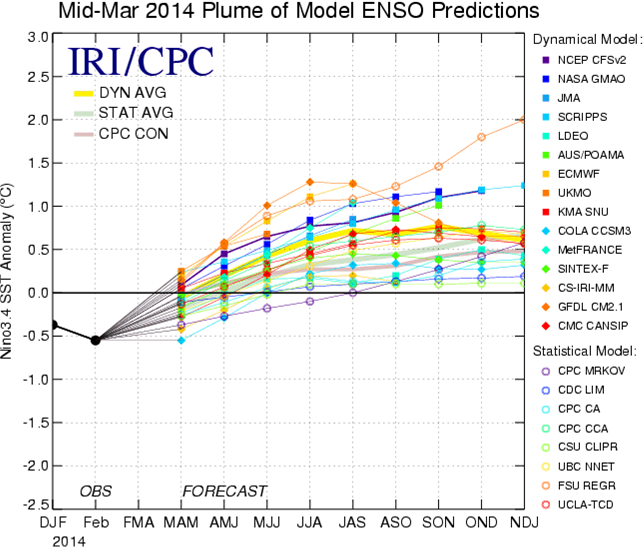 Cliff Mass Weather and Climate Blog: Is a Super El Nino Coming Next Winter? There are increasing reports in the media of the potential for a SUPER EL NINO next winter, one reminiscent of the some of the great ones, like 1997 and 1982. The movement of the jet stream southward into California, bringing the potential for heavy precipitation next winter. Warmer temperatures over the northern tier of the U.S.
And a major El Nino would warm the entire planet, and could result in record global temperatures that would heat up global warming concerns. So what is the chance of a major El Nino and its effects? Let's check the evidence. But first what is this El Nino animal in the first place? The image below shows conditions over the tropical Pacific during normal and El Nino years. In normal years, the easterly trade winds are fairly strong, pushing warm surface water towards the western Pacific, where is is much deeper. Big tropical thunderstorms hang out over the warmest waters. During El Nino years, the easterlies weaken or even turn to westerlies and the warm water surges towards the east (think of water sloshing in your bathtub!). The SSTs in the central and eastern Pacific warm and the big thunderstorms shift east. This is important, since the big thunderstorms have a global impact, perturbing the flow of large portions of the earth's atmosphere. Here are the latest sea surface temperaturse in the tropical Pacific. Big warming going during the last few months, so that temperatures are now above normal. NOAA has an array of buoys in the tropical Pacific monitoring underwater temperatures. Here are the subsurface temperature anomalies (differences from normal) under the Pacific for the last two months. Queue the JAWS music. Warm warmer is surging eastward in the upper few hundred meters of the tropical Pacific. These are large anomalies. The U.S. and other countries have a range of statistical and numerical models we use to predict the evolution of the tropical Pacific and the potential for El Ninos. Let me show you a few. First, the U.S. Climate Forecast System (CFS) Version 2. This system runs many simulation (an ensemble)...that is why there are so many lines, with the dashed line being the average of them. This figure shows you the predicted SST temperature anomalies into the future. All predict warming and the average warm anomaly is around 1.5C by late fall. This is at least a moderate El Nino. And here are the predictions from many different prediction models. They are going for warming and El Nino conditions, but perhaps not as strong. or skill for predicting the next winter is substantially less before roughly July 1. This is illustrated by a figure produced by UW JISAO scientist Todd Mitchel shown below. 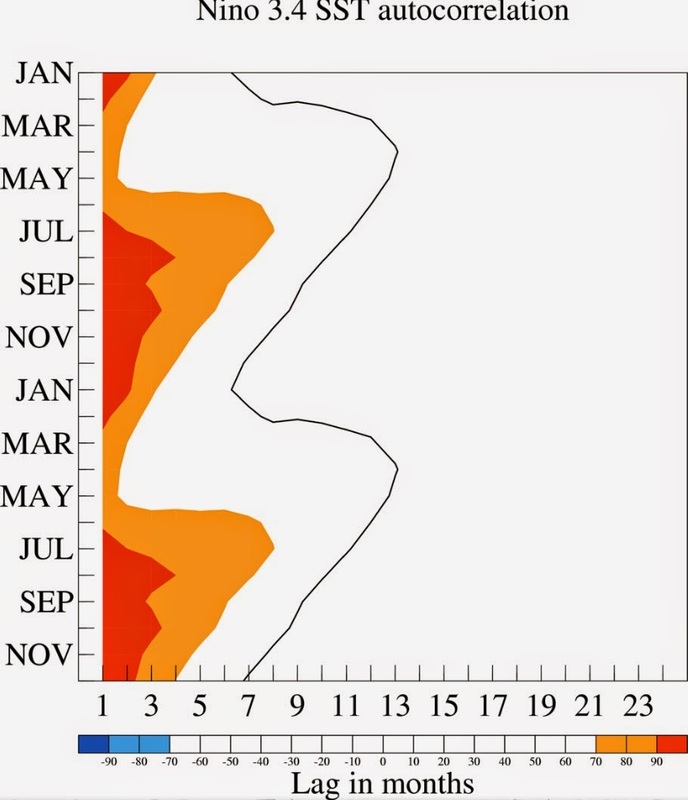 It shows the correlation of SST temperature in the tropical Pacific with upcoming monthly temperatures. Yellow and reds are high correlations. You see April? Very little correlation with subsequent months in contrast to July or August.. There is something else. You ever hear of the Pacific Decadal Oscillation? This is a cyclic phenomenon of the Pacific ocean that has a great impact on sea surface temperatures and other parameters. A graph is shown below. We were in the warm phase from roughly 1976 to roughly 2005 and now appear to be in a cool phase. The strongest El Ninos like to be in the warm phase, which is not where we are now. 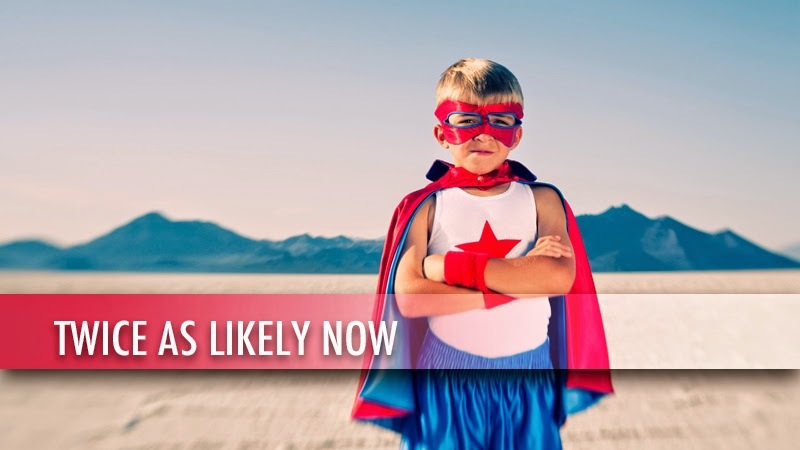 So perhaps we should be careful about predicting super El Ninos. Anyway, it does look we will be in at least a weak El Nino next winter, but stay tuned for more details and more confident forecasts during mid-summer. An elevator of air over the Pacific. Do you believe that the spread in the ensemble forecasts accurately reflects the forecasts's uncertainty? Good perspective on El Nino. Of more immediate concern is this summer. I read that NOAA progs through this summer show a probability of above normal temps - hard to top last summer. Until proven otherwise, I will have faith in their outlooks and look forward to another awesome summer ! If you look at all the phase curves of the Quasi-Biennial Oscillation what you notice is that during years when we had a long flat peak from July to January with the peak slightly higher towards July than January that the following winter ended up being an El Nino of strength 1.2-1.9*C and stronger towards the Nino 4 region with that region experiencing >29*C. 2013/14 did experience such a QBO curve, which has been in maximum peak phase for a long time since last summer...so we could have a moderately strong El Nino with exceptionally strong Nino 4 region in the 2014/15 winter if this holds true. Any comment on the implications for our weather up here? 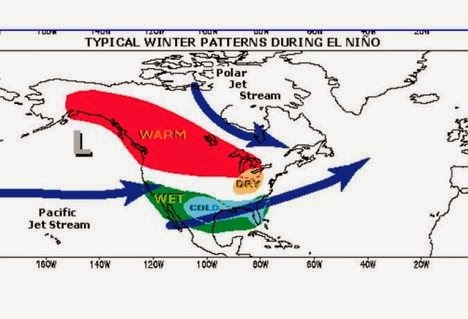 What are the weather implications, particularly for skiing, of a super el nino? More snow? More rain and less snow? And does it favor southern rockies like Telluride and Taos? 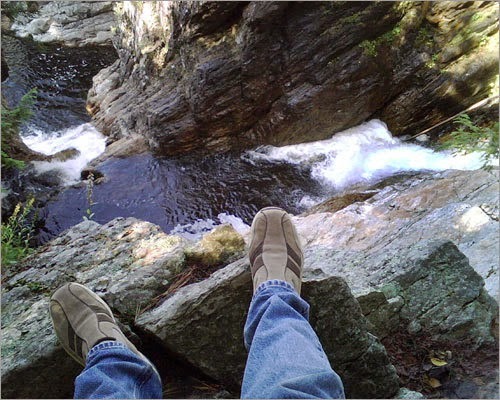 What are the long term temp and precip implications for Massachusettes whether or not El Nino happens? Looks like super El Nino was a bunch of hype.